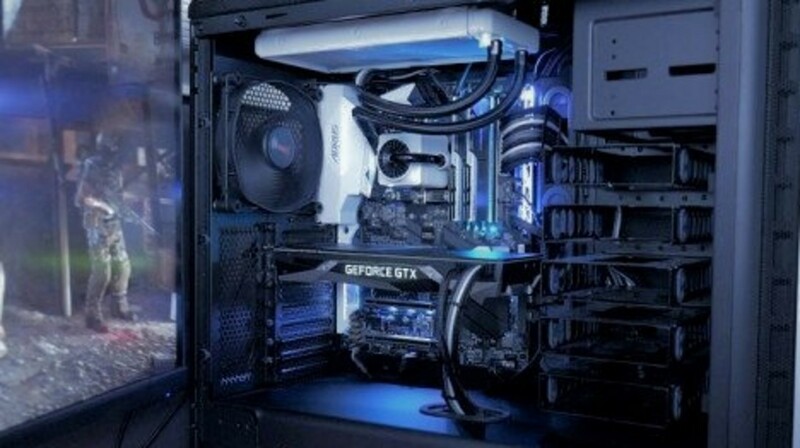 Have a $1,500 budget for your new gaming rig? Here's the Ryzen and Coffee Lake builds we'd go with. If you're planning on building a computer for $1,500, here's a look at the parts we'd choose along with an explanation for each. 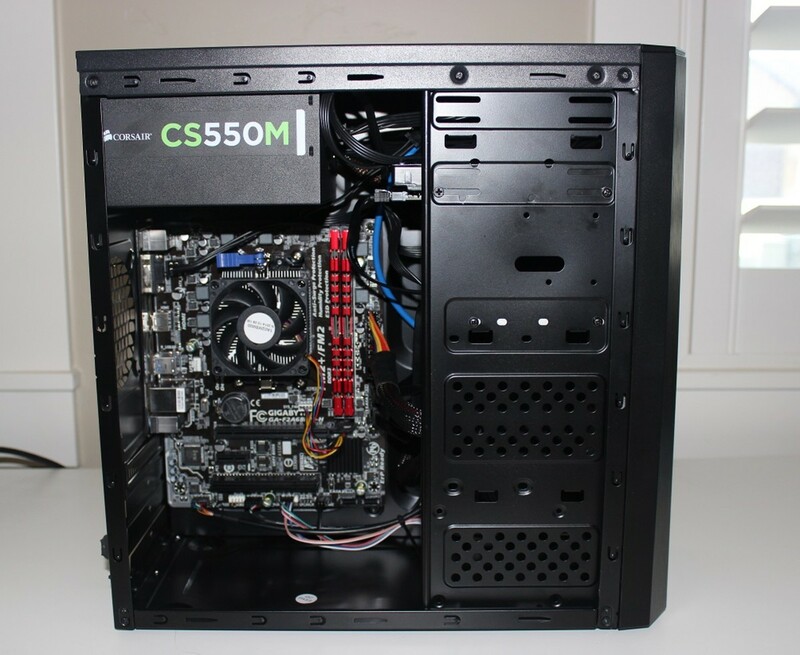 You can either build a PC exactly like this one or modify it to fit your needs. Either way, we'll get you updated with all the latest information you'll need along the way. For a $1,500 budget, I recommend you go for a processor in the $300 to $350 range. So, it really comes down to the Ryzen 7 1700 and the i7 8700(k). A colleague of mine did a comparison of these two processors and I was somewhat shocked with the result. First of all, if you're going with a Ryzen CPU, there's not a huge difference between the Ryzen 7 1700 model and the 1800x in terms of gaming. This is especially true if you overclock it. Against the Intel Core i7-8700 the Ryzen 7 1700 does lose a few frames in games. So, if you care most about gaming, the i7-8700 is probably the better choice. That being said, the more cores that games utilize going forward, the better the Ryzen 7 1700 will do. In addition, the 8 cores and 16 threads of the Ryzen 7 1700 make it compete fairly well against the 6 core and 12 thread i7-8700 under heavy load. In terms of the AMD Ryzen 7 1700, a few people have written it off because it has slower Instructions per clock than Coffee Lake. That being said, it's still very fast. So, if you'd prefer to save around $50 and get what most would consider good enough for gaming, the Ryzen 7 1700 will serve you well. Still, it's hard not to recommend the i7 8700 for around $50 more. It's a faster processor overall and does win the benchmark battle even with a strong Ryzen overclock. We recently compared the 1080 Ti to the GTX 1080. The 1080 Ti is a worthwhile upgrade for those playing in 1440p or 4k. Pictured: 1080 Ti and 1080 Founder's Edition. Amidst the cryptocurrency craziness GPU prices are all over the place. 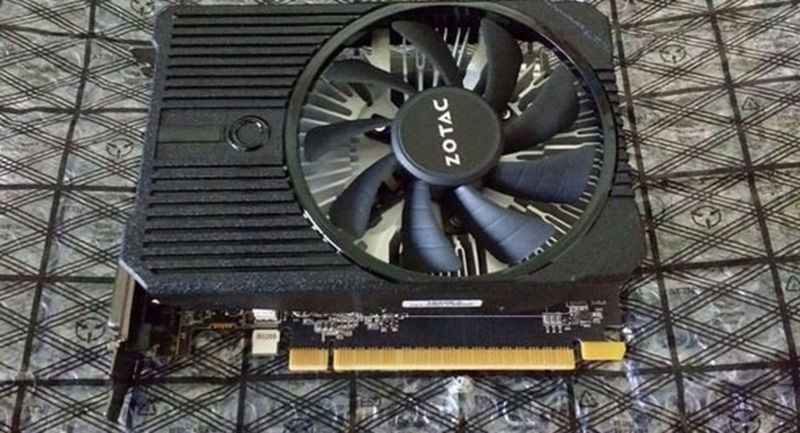 Be patient, look for the GPU you want and the price you want. Otherwise, you'll end up overpaying. I'm recommending you go with the GTX 1070 Ti here. Similar in performance to the 1080 it should be all you need for 1440p gameplay. You could stretch for the 1080Ti here if you'd like, but the 1080 seems a bit out of place for price to performance right now. The 1070Ti typically hovers from $500 to $550. Today it's around $800. So, it may be wise to build this system without the GPU or use your previous one until you can find a decent price. Alternatively, you could also trade out the CPUs above for an i5 8400 or a Ryzen 5 1600. This would allow you to come much closer to the budget with a higher-end GPU. Still, I typically recommend going with the better CPU as it's something that will endure through multiple generations better than your graphics card. If you're looking for a Good Z370 Coffee Lake Motherboard, I've written an in-depth post on my favorites. At around $150 you get good reliability, overclocking potential, and a ton of features in the Asus Z370-P. If you don't need quite as many features you can spend even less and go with the Gigabyte's GA-Z270XP-SLI for around $130. It will work more than fine for most builds. 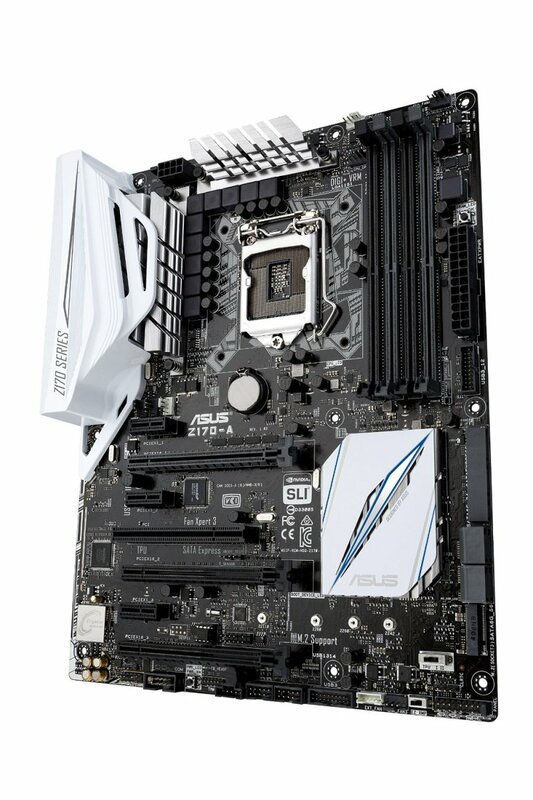 If you're looking for a motherboard with even more options, I like the Asus IX Hero or any of the Aorus boards around $200. If you end up going with the Ryzen 7 1700 processor, you'll need an AM4 compatible motherboard. Most likely, you'll want to go with an X370 board like the Asus Prime or Gaming Pro Carbon. Like the Kaby Lake board, it has a proven track record for quality, features, and overclocking headroom. Regardless of what you end up doing for your build, I highly recommend you spend a bit more on your power supply to get one that I'd consider to be in the top tier. EVGA has the most reasonable option in this tier in its SuperNova Series. 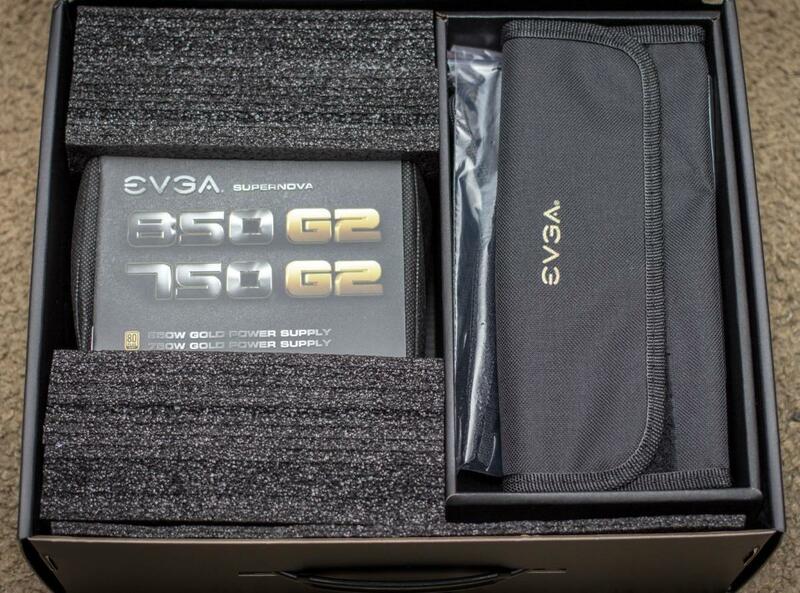 The EVGA SuperNova 550W option is all you'll need but the 750W is often the same price. If you're looking for an option at a different price point, take a look at my post on the best power supplies for the money by budget. We've only allocated around $30 of our overall budget to a CPU cooler. The Hyper 212 EVO from Cooler Master does the best job of giving you a decent overclock at that price point. It gives you most of the performance of the most expensive water and fan coolers, but without the inflated price. If you want to get more performance, then I recommend you jump up to another high-performance cooler like the NZXT Kraken X6. It's a proven winners in many benchmarks. Overall, I think most are happy with the moderate overclock of the Hyper 212 EVO. It'll get you to 5GHz on the i7 Kaby Lake 7700k and that's probably what most are looking for. I recently wrapped up my post on the best mid-tower gaming cases. Clearly there are a plethora of different case options that would work really well here. Looking at budgets and value for the money you pay, I'll narrow it down to two that I like right now. If you go with a full-tower Case I'd go with the Phanteks Enthoo Pro. For another option that's about half the price, I like the Corsair Carbide 200R and the NZXT S340. The Phanteks Enthoo Pro gives you fantastic value in an under $100 full tower case. The internal and external design are top notch. It's also available in black. 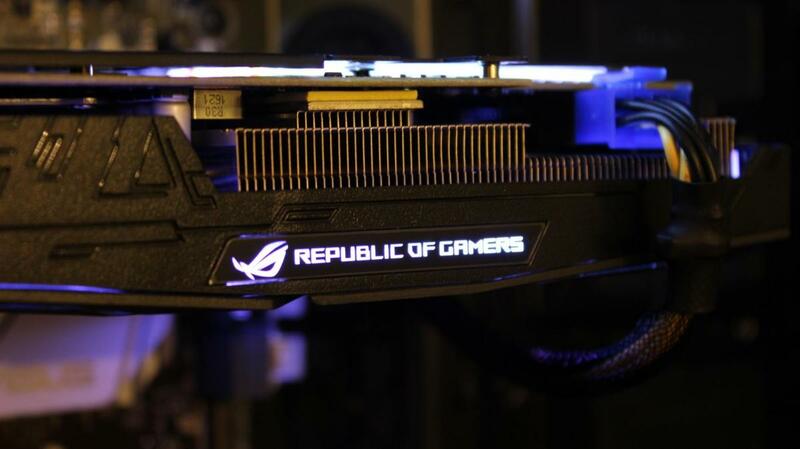 The hidden power supply adds a sleek dynamic to the overall build. If you're looking for a full tower case with a ton of features which don't cost a lot, the Phanteks Enthoo Pro is still a great option. While it's a couple of years old now that simply means that it's more tested, more refined, and all for less money than day 1. The case itself is made of steel and plastic and has a side window for viewing all your hardware. 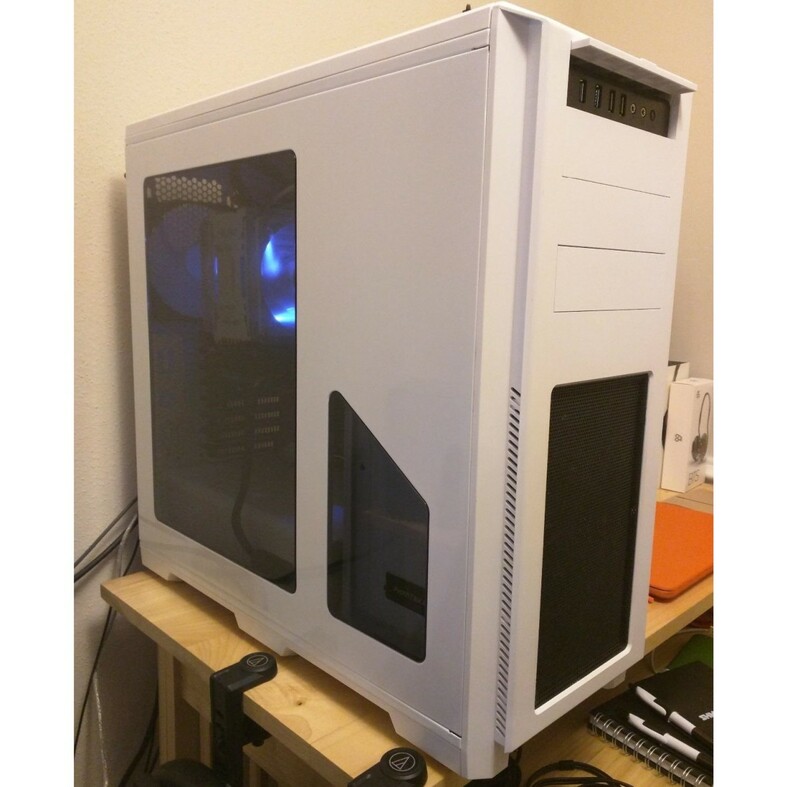 For expansion it has 8 slots and can hold up to 10 120mm fans, 7 140 mm fans, or 2 200mm fans. That's a lot of air! Included with the case are 1 200mm fan in the front and a 140mm fan in the rear. For flexibility the SSD bracket is on a drop and lock system that can be placed in two different locations. Both HDD cages are removable as well. 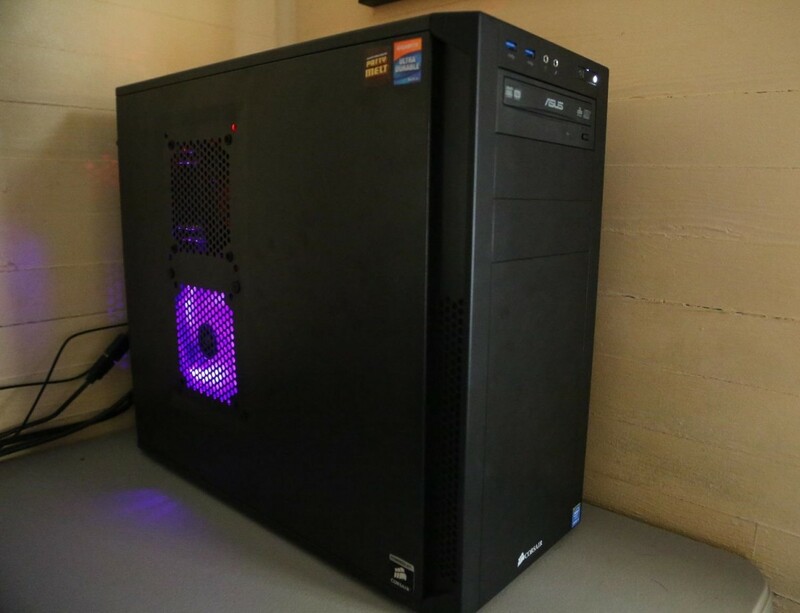 For $50 to $60, the Corsair series 200R case has a lot going for it. If you prefer to go with something cheaper and more compact than a full-sized tower, I like Corsair's Carbide model 200R. It's a black steel and plastic case with plenty of airflow and expansion slots. I've done several builds in Corsair cases over the years and they always make it easy. Knowing the build doesn't take very long makes it easier to setup and upgrade in the future. The 200R has thumbscrews for the SSD, hard drive, an optical drives making it a tool-free setup. The 200R has seven PCI-E slots all with thumbscrews and allows for a GPU of up to 430mm long. CPU Coolers up to 160mm in height fit and the side panels can hold up to 8 fan mounts. The case comes with 2 x 120mm fans. Overall, this is one of the better cases you'll find in the $50 range. It's sturdy, makes it easy to install, and has plenty of expansion. Find it on rebate for sub $50 pricing. In the past, I'd skimp on storage options to get every bit of raw performance I could out of my gaming PC. Now, I opt for a good amount of storage as I understand just how important it is. A solid state drive here is a must here. If you play multiplayer it loads maps faster and in real life performance, it's just about as important as any component I can think of. I've gone with an NVMe drive in the Samsung 960 here. 250GB for better speeds and a lower price. I've purchased several of these over the last year and typically go with this model unless other options are substantially cheaper. For Hard drive, we're going with the Hitachi Deskstar 7200RPM 2TB hard drive. It's regularly on sale for around $60 and for $10 more than the popular Caviar Blue 1 TB model from WD, gives you twice as much storage. If you store as many videos, shows, photos, and files as I do on your PC, then that extra storage will be something you're glad to have. If you're moving from a DDR3 rig, unfortunately, you won't be able to use what you already have. Still, you should be able to use what you buy here in your next few upgrades. I can't imagine building a PC at this price range and not throwing at least 16GB of memory at it. In 2018, good ram is quite expensive. So, if you'd prefer to get a 1x8GB kit now and upgrade later when prices have come down, it might be a good idea. Still, with current demand this could be the new price we should expect moving forward. I especially like the Corsair Vengeance LPX series. It's inexpensive, good quality, and overclocks super well. G. Skill also makes their Ripjaws V series which is often available at a decent price for even 3000MHz speeds. When you think about the parts you'd want to put in your PC with a budget of $1500, there's a lot of expectations. You'd expect a quality 80 Plus power supply with room to upgrade and overclock if you wanted. The manufacturer of a pre-built machine wants to give you the bare minimum of what you need. For the motherboard, you'd pick exactly what you wanted. 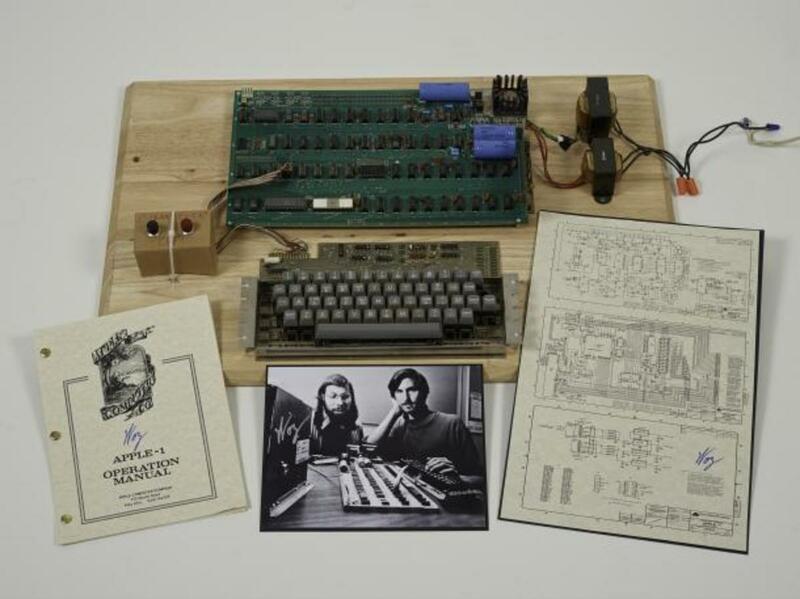 Either a motherboard with plenty of features, overclocking headroom, or perhaps one that didn't cost a lot. If you let someone else take over, then you're allowing them to make all the big decisions. In terms of quality, it's a bit of a crap shoot on what you'll get. With all of this being said, my point is that you should just build your own PC. If you've never done it before, then hopefully I can help you pick out the parts that will give you the best overall value. Putting the parts together is actually rather simple. The best way to get going is to just order the parts, get started, and grab a friend if you need help. I can answer any other questions you may have below. 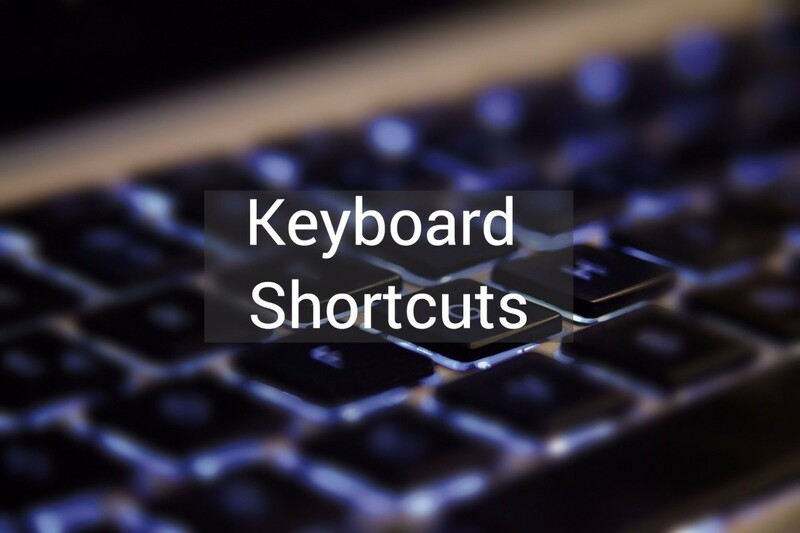 *Not all additional features can be added on to maintain a $1500 budget. However, upgrading to a GTX 1080 Ti is entirely possible within this price range. Even though this year has been a bit soured by expensive GPU prices and lack of hardware availability, it should be another stellar year for performance. 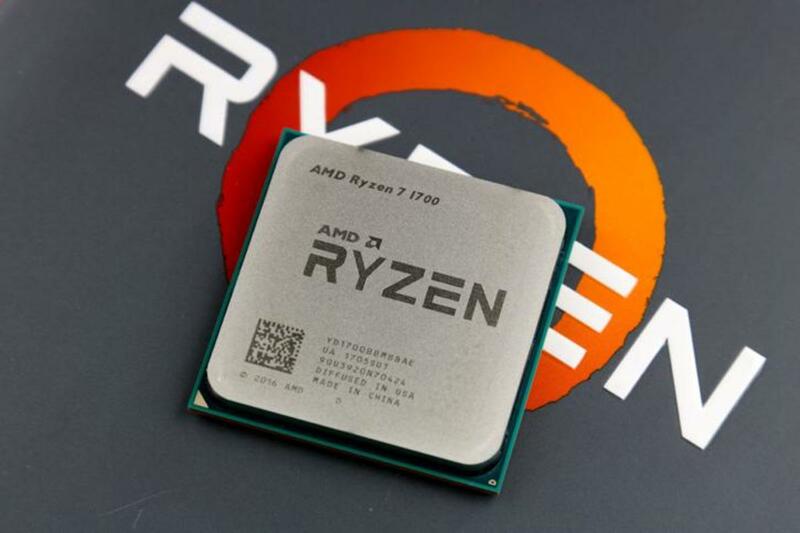 Ryzen 2 is a much-anticipated release we're all watching for. Expect responses from Intel as this fight continues. Releases like Ryzen and Coffee Lake are some of the most important that we've seen in years. Right now you can get more PC performance for a budget price than ever before. Let's hope this continues. If you'd like more options and more builds, I highly recommend you take a look at my build a gaming PC series on YouTube. Some of it gets a bit out of date from time to time but I typically redo all of my builds each quarter. You can go to my YouTube Channel for an alternate version of this build where I do a little more of a mainstream build. I've also posted my $300 to $2000 builds there as well as here. If you're looking for an always up-to-date version of the build above you can also see my page on the top gaming computers for 2018. It includes 10 builds from $200 to $2500 that are frequently updated. Better performance for your money. While this may not have completely been true in years past it's definitely true right now. The reason for this is that scaling has gotten better. By that, I simply mean that if you use two cards in SLI you can get closer to double the performance of a single card than ever before. In addition, it works really well with multiple monitor configurations. There are still a lot of disadvantages to SLI in 2016. When you have two graphics cards side by side in a case it uses more power and can get a bit hot from time to time. Also, not every game supports dual card configurations. That being said, most graphically intense games like Battlefield 4 provide support for this and AMD and NVIDIA provide driver updates regularly. In addition, micro stuttering can occur on occasion although, this is very limited on NVIDIA's newer cards. Starting out with a single card can also be advantageous if you want to SLI or Crossfire down the line. For example, if I bought a GTX 1070 today, then I could purchase another GTX 1070 years from now for a discount and save myself from having to upgrade. That being said if you go with a dual card configuration for a similar budget, you're likely to get better performance right now. 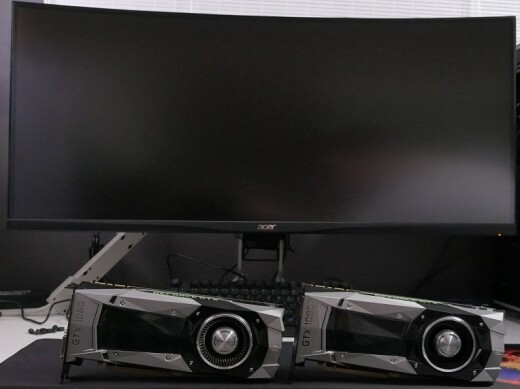 Either way, it's really a matter of personal preference, but with SLI configurations getting simpler, it'll probably become a more popular option over the next couple of years. 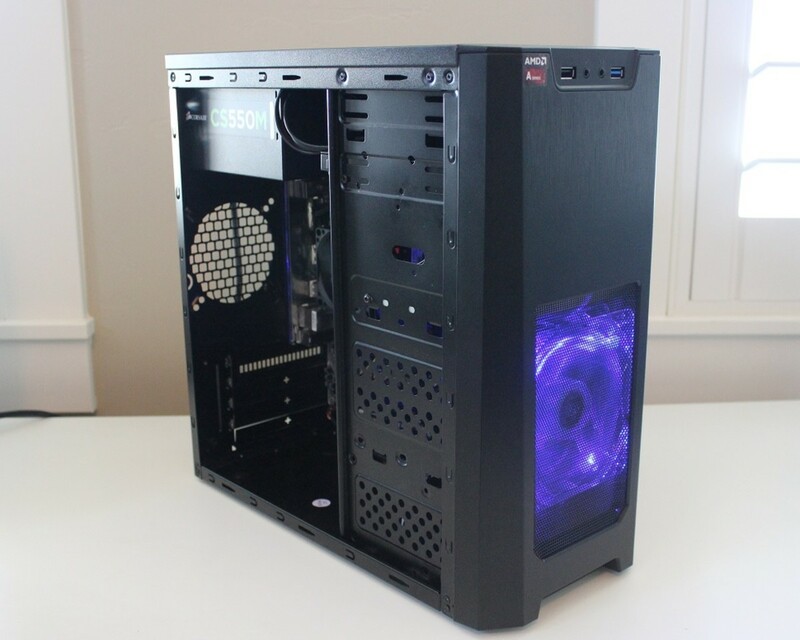 Is it possible to use the S340 Elite instead of the Corsair case in the PC build in your article? Yes, that would work out fine. What you say about SLI, I was reading the very same argument about SLI when building a rig in 2010. Ram is pricey right now. When I updated this article (I must have missed that). Thanks for pointing it out. in which world you’re living sir? You’re saying:- For how cheap the ram is I can’t imagine not throwing 16gb of ddr4 2400hz. Well if you’re lucky you can get those 16gb of ram for 150 up to around 190$!!! It’s way more than used to be. If for you that’s cheap, then what’s the price point were for you ram price is called expensive?! To put in perspective that’s around the price of a i5 8400 cooler included. It can’t be same price. It shouldn’t be. It’s outrageous and a rip off. I have no other name to call it. You can call it a “deal”! Up to you. But it isn’t at all. I started building my PC in the beginning of 2005 with a Pentium IV and now it's evolved to a PC which runs everything smooth. Don't know about FPS or benchmarks but everything works. My PC runs everything flawlessly and all games I play on maximum settings at on a 32" HDTV with a Xbox 360 wireless controller. Total was $ around $600 if including RAM and other minor things. That is less than half of this new rig. Is there a need to build a new "budget" gaming PC if there is an option to get the performance from older hardware for much cheaper? 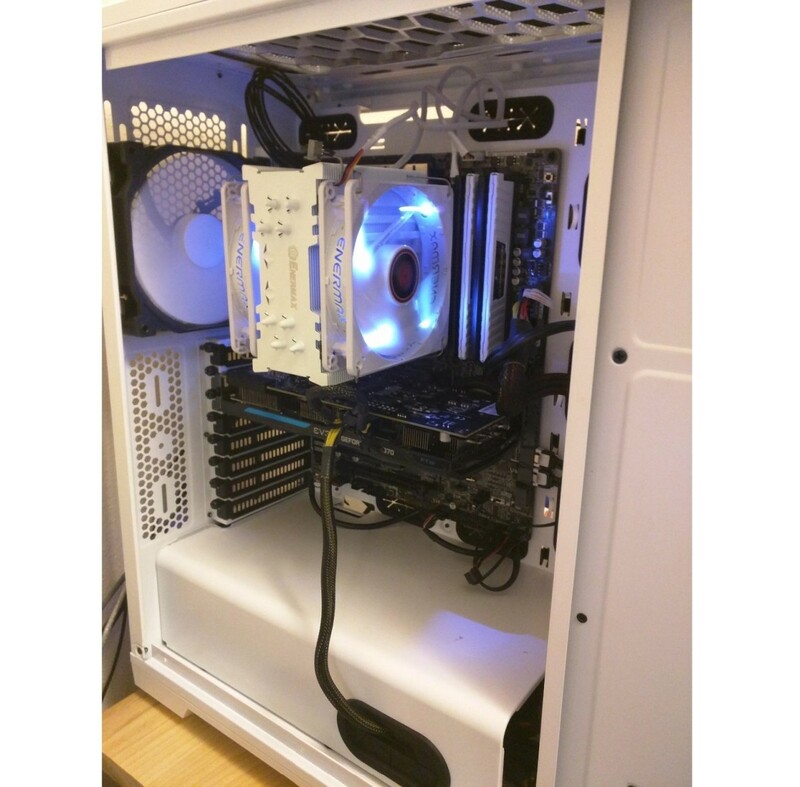 Hi i have used a Biostar mobo in a similar configuration.Its good. Noah, it would be really hard to know without having the exact build in front of me. I want to buy a high(er) performance gaming desktop for around $1500 my dad works for a company that gets a discount from dell so i was considering buying an alienware Aurora R4 (the medium build) and the price came to around $1500 (35% off) would this be a smart move or could i buy a higher performance computer for the same price? Yes :). Through the board and the graphics card. It also has a DisplayPort option. this may sound like an idiotic question, because honestly, i'm not a computer expert. Does this build have a usable hdmi port? Nice job Matrixter - sounds like a beast. I just put together my very first build. it's kind of similar to this. I put the SSDs behind the mobo and put the hdd in a MASSCOOL 5.25" drive bay cooler so that I could completely remove both Drive Cages to allow for much better airflow. If I need more disk space I'll use the other 5.25" bay for another. I bought a $12 lite-on dvd burner because it was on sale on newegg just incase I ever need it for something, haven't installed it. I played around a bit with overclocking this chip, I didn't fine tune or anything so I could have gotten much better but I was able to achieve a stable OC of 4.4 ghz using 1.21v and the highest temp for the hottest core was 93°C. I used Intel Burn Test for 20 runs on High setting. I feel that this is way too hot for my liking so I won't be OC'ing it at all until I get my water cooling solution. I am either waiting on the Cooler Master GLACER 240L to be available again or I am going to do a custom loop. I may even de-lid for better temps. But as for now, everything is running stock and I enabled the XMP profile. This computer is very fast. Windows 8.1 Pro operates with lightning speeds with those 2 SSDs in RAID. I'm loving it! Games perform really well, I got Assassin's Creed Black Flag, Batman Arkham Origins and Splinter Cell Blacklist all for free with the purchase of the GTX 770 on Amazon, Newegg has a similar offer but that's only when you also purchase a NVIDIA SHIELD with it, then you get the games. There is only a PNY GTX 770 on newegg that offers the games as a gift w.o having to buy the SHIELD. I bought it and then I found the Gigabyte version on Amazon so I am returning the PNY one. Gigabyte is a WAY better design, better stock OC clocks, better cooling, just better. I also suggest a Kingston Hyper X Blue DRAM which is very efficient and a Biostar Gaming motherboard which happens to be good. Total - $1465 + tax (most items from amazon are free shipping) around $1600 total if you want to make it $1500 just take away the ssd. you don't particularly need it. For this build I've suggested 16GB of Corsair Vengeance memory.